Hidalgo County commissioners last Tuesday passed a resolution supporting the construction of State Highway 68, which is slated to connect U.S. Highway 281 in Edinburg to Interstate 2 in Donna. 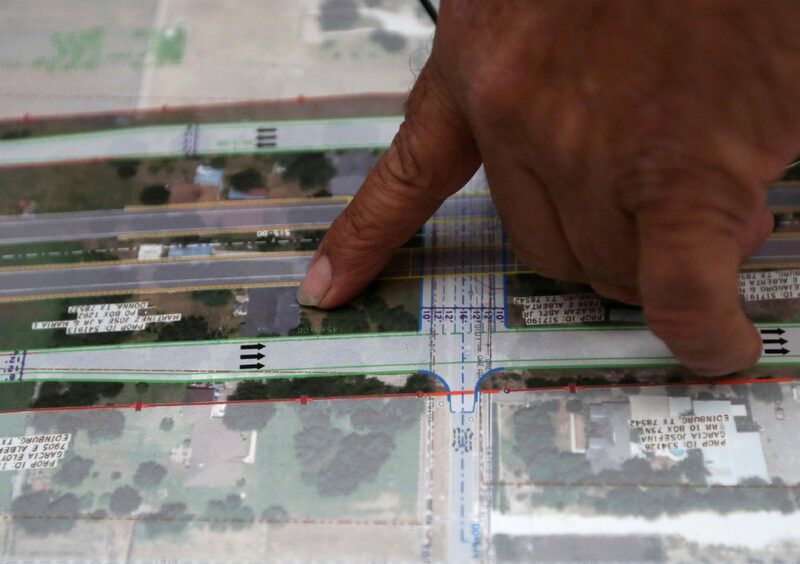 Pedro Alvarez, an engineer with the Texas Department of Transportation, fielded questions from commissioners and the county judge about the proposed construction of the 21.7-mile highway that will displace 102 homeowners. The resolution, an official nod of support from the county, passed by a unanimous vote despite a handful of Hidalgo County residents voicing their opposition to the project during the May 8 meeting. Fern McClaugherty, an Edinburg resident and member of the Objective Watchers of the Legal System, or OWLS, asked commissioners to deny the resolution, in part because she believes the highway will end up as a toll road. So far, $55 million in federal and state funding has been allocated for the frontage road portion of the project from Interstate 2 to Farm-to-Market Road 1925, Alvarez told commissioners. The projected total cost of the project, which is proposed to be completed in phases, is estimated at $768 million. “This will not be a toll roadway,” Alvarez told commissioners who inquired about McClaugherty’s concern. In addition to homeowners, the proposed highway route will also uproot eight business owners from their land. Homeowners and business owners, through the land acquisition process, will be paid for the entirety of their property including improvements made to the land, according to Alvarez. “We don’t endorse displacing anybody, but obviously the need for infrastructure, mobility, safety — all these issues are pressing,” Hidalgo County Precinct 4 Commissioner Joseph Palacios said during the meeting. TxDOT officials expect to begin acquiring right-of-ways necessary to construct the highway in spring 2019, and expect to complete the land acquisition process by 2022, when official construction is scheduled to begin. The route was chosen out of a dozen proposed paths, in part because it had the “lowest overall impact to historical structures,” according to Alvarez. TxDOT also looked at constructing on existing roadways such as Farm-to-Market Road 493 or Farm-to-Market Road 1423, which was found to be costlier and impact more properties. TxDOT accepted written comments from the public on the proposed route until May 15, which will be considered for the official decision on whether to the construct the highway, a decision that will be made in 2019. If built, the state agency estimates 51,000 vehicles will travel on State Highway 68 daily.